Howdy! I am crazy this week. Seriously. We are driving to Arizona, which is way cool, because we get to visit our old home and see our good friends! Aaaaannnnnd...we are getting puppy. Yep. Crazy. So, while I am off on a grand adventure with my family, to which I hope we all survive (I am speaking about the puppy part :) I hope you hop on over to Oh My! Creative and check out my latest project! 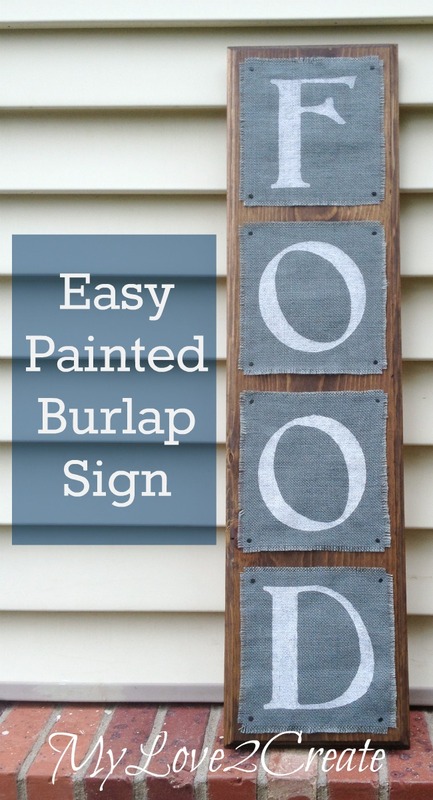 A fun and easy painted burlap sign! 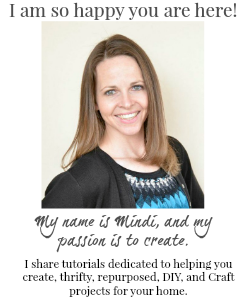 Really really cute Mindi - I love it! Good luck with the puppy!! So cute! I pinned it to give it a try with my leftover burlap from my last project. LOVE this! what a great idea. I love burlap and chalkboard and this is kind of like combining them. Thanks for sharing! 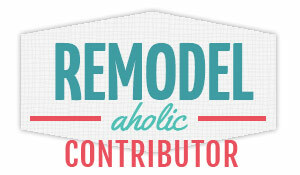 You were featured this week at the Caffeinated Crafters Link Party. Don't forget to grab your button. Your project was super cute! Hope to see you this week. Mindi! I absolutely love this sign. Thank you so much for sharing at Project Pin-it. I will be featuring you this week. Wow! What a great way to make use of space! So pretty, yet functional, too! Thanks so much for sharing at Talented Tuesdays!